The Industrial Revolution highlighted a crucial turning point when it comes to our relationship with the environment and the way we should protect it from climate change. It’s during the industrial revolution when the world got familiar with Earth’s ecology. 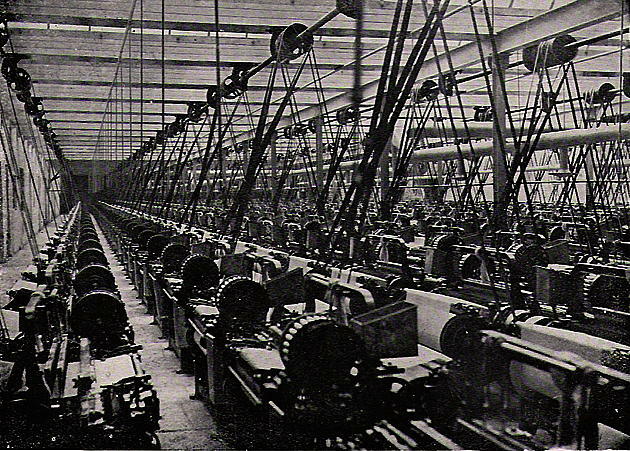 The impacts of the industrial revolution started to surface in the early 1960s, at about 200 years after it had started. The effects of the industrial revolution ranged from energy sanitation and usage, public health, the impact of natural resources, social improvements, health and life longevity as well as human development. In the mid-1700s, the manual labor was replaced by machinery and fossil fuels replaced natural energy sources like wood, water, and wind. In this way, they were able to develop iron while also producing textiles. During this period many new processes started changing production capabilities as well as people’s lifestyles. These changes do not seize to follow us up to present day. We can still feel the impacts of the Industrial Revolution even nowadays. This period signaled a significant increase in the total human population of the globe. 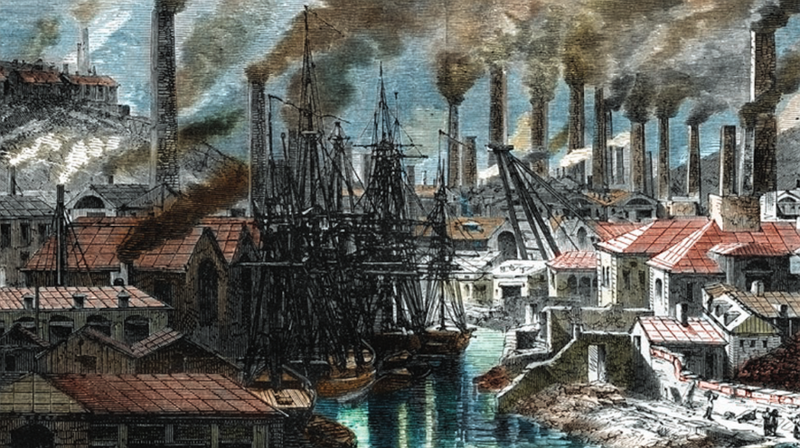 At the beginning of the Industrial Revolution, the total population increased by 57%, reaching 700 million. By 1800, the world population increased up to one billion. This massive boost in the human population also required for a massive increase in resources such as land for housing, energy, and food. Furthermore, the amount of waste products also increased, contributing to the degradation of the environment. Due to the fact that people started producing more and more to make up for the population boost, the request for more products gradually grew. In the past, before the Industrial Revolution, people have been taken advantage of these resources since there were more resources than demand. The growth of population together with the growth of production triggered a higher demand, one that has overcome the availability. In this way, the limitations of limited available resources have appeared. Therefore, the lifestyles of Europeans significantly changed due to the production and population growth. Hence, people developed larger industrial cities which were densely populated. However, the living conditions were poor. People lived in crowded small villages, in houses densely packed, with very little sunlight. This was the time when air pollution started growing. Due to the development of all the factories and the mechanization of agriculture, the air was filled with smoke. Sometimes, dense noxious waste gases and fog of soot covered the towns located near steel and iron factories. Hence, all this air pollution did not only contribute to climate change and ozone layer depletion today but also to the development of certain diseases. All the plants and factories that were fueled by coal produced massive amount of smoke that covered entire cities, triggering numerous illnesses. Air pollution causes several illnesses, including pneumonic ones. Furthermore, the massive amount of soot prevented people from maintaining the houses and streets clean. In this way, cities transformed into stains of filth, soot, and smoke that affected the planet. They contributed to what we know today as climate change. The dense fogs did not only slowly kill our planet, but they also killed numerous people. In 1873, these killer fogs affected London. Statistics indicate more than 1,150 deaths in three days. Coal burning triggered severe air pollution that in turn caused all those deaths due to respiratory diseases. Scientists have collected samples of hair from people living back then. The tests indicated unusually high levels of mercury and antimony in the human body. Those toxic levels did not only impair the well-being of the environment, but also the health of people living back then. Keep in mind the fact that air pollution is not the only damage brought to the environment. All the industrial waste coming from factories and the increased sewage coming from the growth of human population had polluted water sources. Many rivers and canals changed their color due to industrial waste. Hence, a new disease had burst. Cholera was taking lives by the day because many people used water from rivers and canals to clean or cook. Therefore, more than 57,000 people died during the cholera epidemic between 1832-1834. During the 1850’s people first discovered acid rain. This type of rain was the result of pollution coming from coal-fueled plants. The new means of transportation also caused air pollution. The use of railroads was useful to transport coal. However, they proved to be a major disruption to both the environment and rural communities. The locomotives produced a lot of smoke and noise. The smoke contributed to the overall level of pollution when smog clouded all their days. The Industrial Revolution also meant the development and growth of coal mining. Hence, in 1700, worked mined about 2.5 million tons of coal. Furthermore, in 1800, they mined about 10 million tons of coal while in 1861, the amount of coal reached 57 million tons. People developed many technologies and strategies that helped workers improve their work and reduce their risks when mining coal. Nevertheless, the coal mining process severely affected the environment since people deforested many areas in order for railroads to reach the mining locations. Furthermore, one of the most severe factors that contributed to the formation of smog was the process of coal burning. During the Industrial Revolution, people preferred to use iron to develop tools. Hence, iron fueled the development of the railroad system. However, coal remained a key factor in the production of iron, transforming the process of coal burning into one of the greatest sources of pollution. Nowadays, the effects of water pollution and air pollution still linger. Back then, air pollution had only started, and the generations that followed have been taking care of amplifying it. The constant modernization and the development of new technologies that used fossil fuels are responsible for massive amounts of carbon dioxide that we still breathe today. We all know that carbon dioxide can remain in the atmosphere for hundreds of years.